Last week a great turnout of SFN members gathered to hear a talk from long-time member Larry Cornelis: a presentation titled ‘Raising the Ecological Bar’. Typically our news posts tend to be summaries of the outdoor events but after Wednesday night I was inspired to give this indoor meeting equal treatment! Equal parts call to action and informative talk, this engaging presentation and discussion challenged nature lovers to take their gardening talents to the next step. 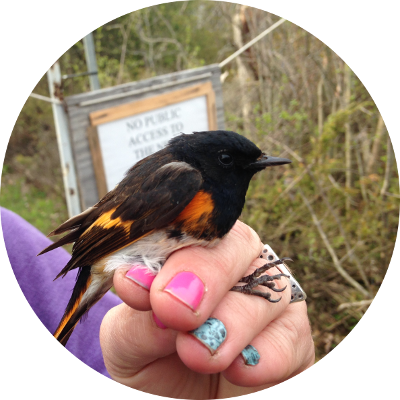 Larry started out by painting the picture of our current landscape from the perspective of pollinators and birds. Monocultures dominate our modern environment, with fields of corn and soybeans surrounding our cities. Whether it’s migrating birds and bugs or local endemic species, when they are pushed out of historically rich ecosystems to make way for modern land uses, where can they go? Conservation areas and nature reserves tend to be small, few, and far between in Southwestern Ontario. Do our gardens really matter? From Larry, the answer is a resounding yes they can! Our home gardens are the front lines in a battle to save our natural environment. 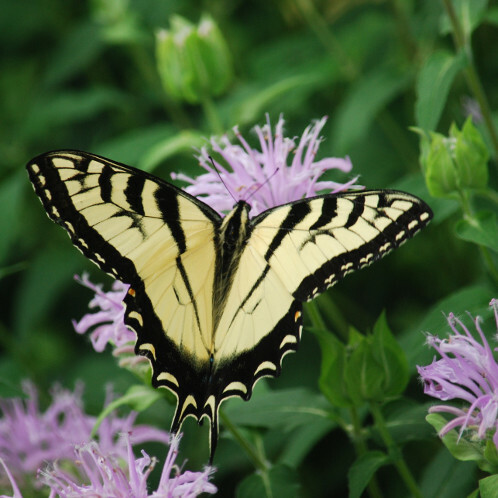 As homeowners we have the choice to avoid another monoculture of suburban lawn (the ‘default setting’) and create a truly beautiful garden that also benefits local wildlife – by choosing native plants. Plant native, plant variety, plant many. 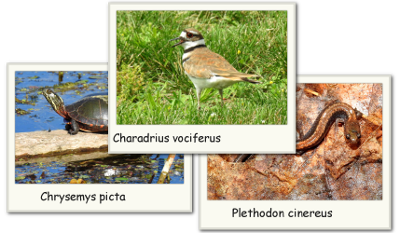 The next portion of the presentation launched into an informative segment drawing connections between native plants and the number of species of insect larvae they could support, and how these first two tiers of the ecosystem support more life. I scrawled fully 3 pages in my notebook of different native plants, both prairie and woodland. Although I had been exposed to some of this before through past presentations, gardening, and work at Mud Creek Garden, it was still astounding the variety of plants that call this region home. The top 5 tree types Larry would recommend in Ontario were discussed, with Oak on the top due to butterfly and caterpillar support. Prairie gardens were given special treatment as well due to the scarcity of these ecosystems, with emphasis on their plant-pollinator relationships and the abundance of insects they are able to support. 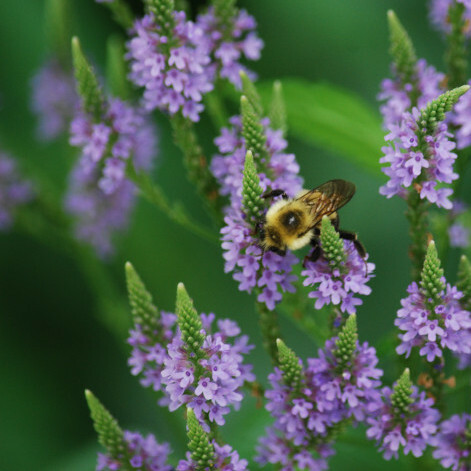 The photos from Larry’s own Wallaceburg garden were truly a testament to what can be done on a simple suburban property; many of them showed not just the flower being discussed but also the pollinators and local butterflies and insects they would attract. 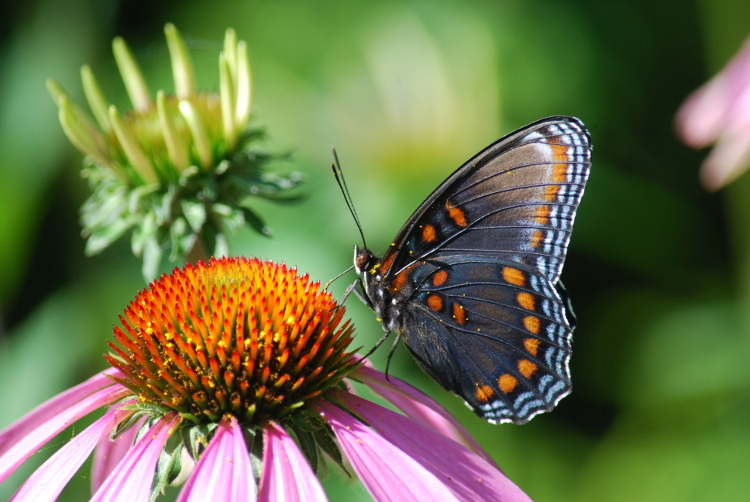 And while you are planting your butterfly milkweed, prairie dock, or ironweed – why stop at 1 or 2? Plant 10. Plant 50. This is the challenge extended to us from Larry Cornelis. The practical side of native garden creation was also discussed, including tips and tricks for how to quickly and easily put in these gardens. Using thick cardboard and a few inches of top soil to cover over portions of lawns was one easy way to get gardens jump-started. Where to find and purchase native plants was also discussed since they can be less readily available in greenhouses compared with imports and ornamentals. 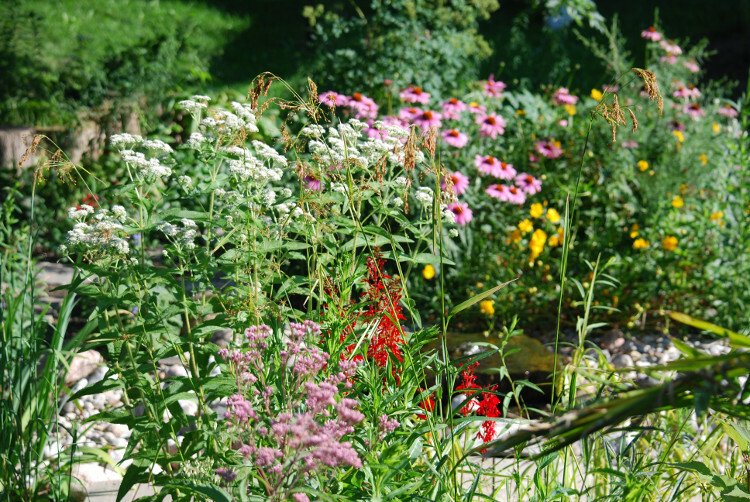 The other important thing to note is that an established native garden is extremely low maintenance: they have very low water requirements, are drought resistant, and if plants are properly filled it, the weeding requirements are almost non-existent. Towards the end of the night, Larry challenged the group, asking how many people have made significant efforts to plant native plant populations in their garden. Many members could be counted in to this group but many still haven’t taken the plunge into fully embracing this concept. But looking around the table at the level of engagement, discussion, and excitement I could see that more and more people (myself included!) would adopt this style and reap the many benefits both for themselves and for our natural environment.